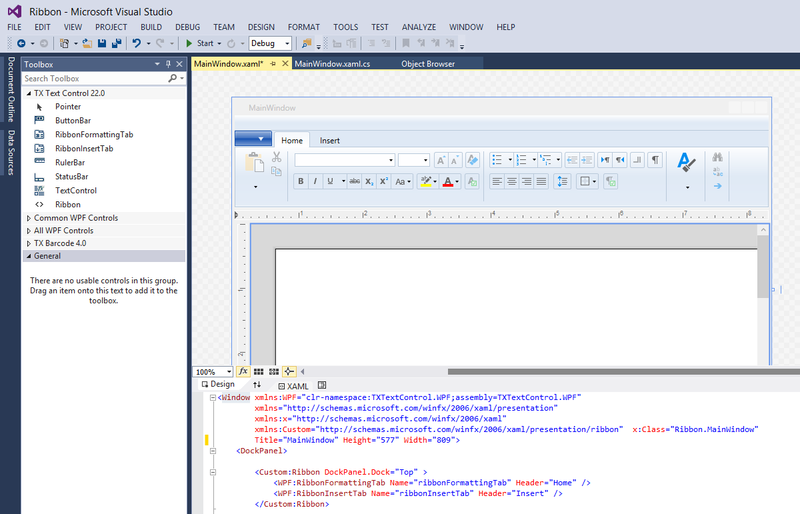 Besides a new WPF rendering engine, that allows all types of transformations, adorners and other typical WPF features, TX Text Control .NET for WPF X12 will be shipped with ready-to-use ribbon tabs that are connected to a System.Windows.Controls.Ribbon.Ribbon object. These ribbons tabs are fully functional, localizable and customizable. You can add and remove buttons, change functionality and extend the ribbon bar with your own tabs and groups.